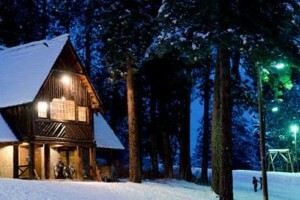 The Leavenworth Winter Sports club offers many different locations, with each having it's own unique scenery and available activities. 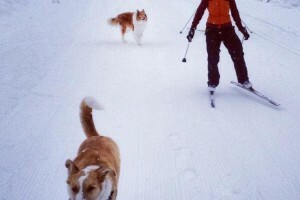 Dogs are not allowed at are 3 main facilities (Ski Hill, the Golf Course, and Icicle River Trails). Dogs are allowed at Waterfront/Enchantment Park as well as the Peshastin Mill Site. View our overview map of all the available trails or click on one of the locations below for more information. 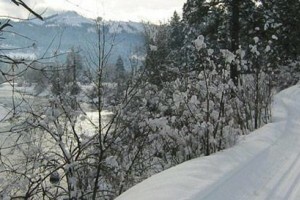 4 trail systems of perfectly groomed corduroy are located 5 minutes from downtown Leavenworth. 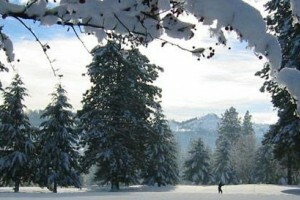 Our most popular trail with gentle terrain and scenic views of the surrounding peaks. Only one block from downtown this is our dog-friendly trail!